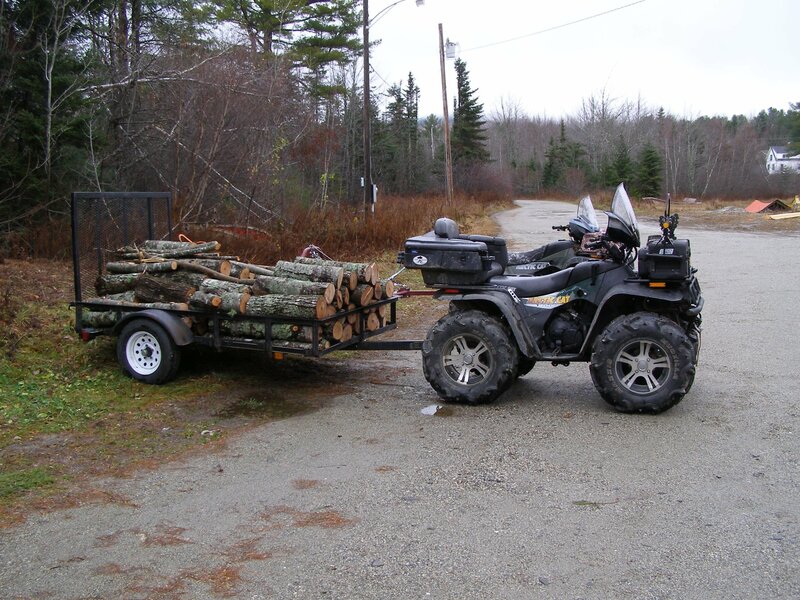 Picture/video of your ATV's A place to show off your pictures and video's of your ATV's only. 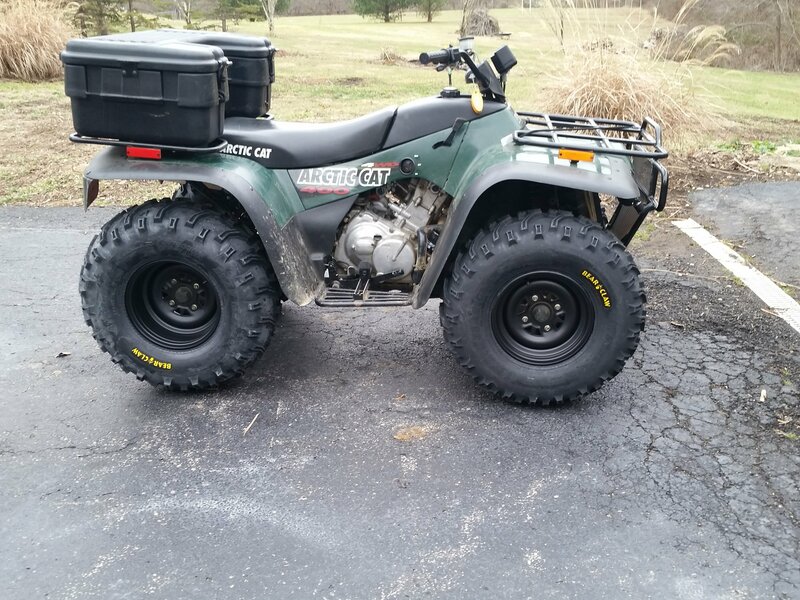 I have a 2000 AC 4x4. I'm a big fan of the older simplistic models. 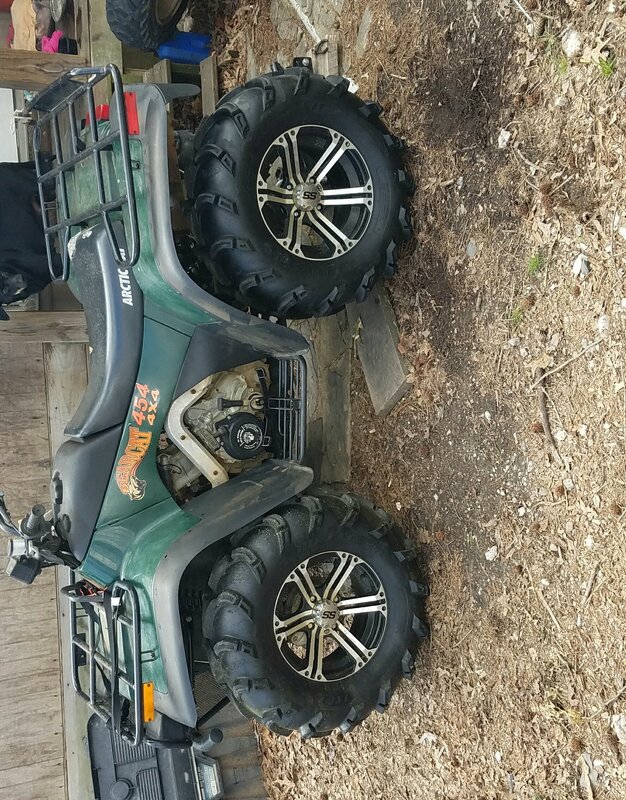 Post up a pic of your 2001 or older Arctic Cat! Include your mileage. 1,200 miles. Here's my 2001 AC 500 manual shift. Has about 8,500 miles. Workhorse. Nice thing about the straight rear axle, you can tow a heavy trailer without squatting. If I put 1/3 that load on my 2002 400 FIS , front tires come off the ground. The only weak link, the shift cable is not as rugged as the rod shifter in the newer bikes, like 2002 up. Last edited by Wallamatogus; 03-01-2017 at 07:27 PM.